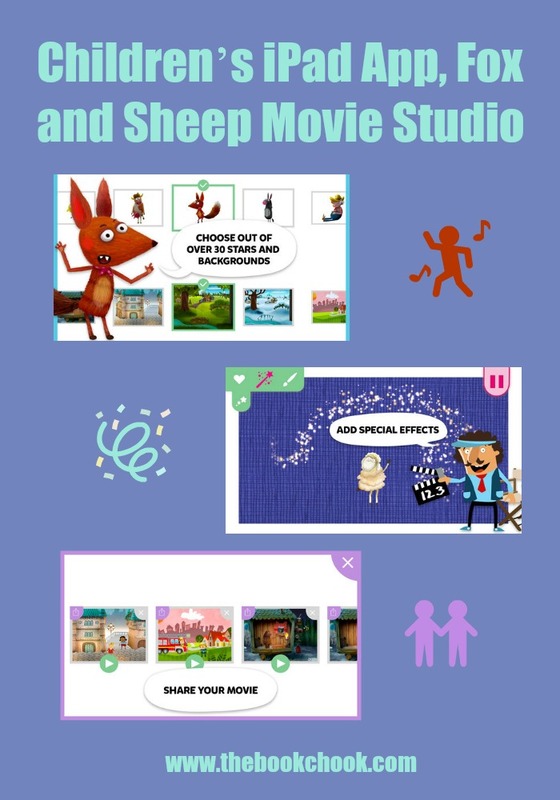 Fox and Sheep Movie Studio is an iPad and Android app by developer, Fox and Sheep. I have previously reviewed their Little Fox Music Box, Chomp, BUBL Draw and Hat Monkey. What I liked: It’s always great to find an app that encourages children to create something, especially if that is to create a story. In Fox and Sheep Movie Creator, the story is in the form of a little movie. Children start by choosing characters, then move on to choose a background, and finally tap an icon to choose music. I loved that children are encouraged to record themselves narrating their own stories. Being able to save and share the movies is another bonus. The art work used in the characters and backgrounds is colourful, attractive, and has variety. The app is not free, but is reasonably priced, although better I believe when you pay for the extra packs. There is no editing feature, but I think that’s probably appropriate since the app seems targeted at 5-7 year-olds. Kids can also add details like titles and extra drawings to their movies via the paintbrush tool. I was disappointed to find the app crashes occasionally, but not always. The Help page recommended a course of action, which I followed, but the problem may be that my iPad is getting older. Here’s a trailer to give you more of an idea.